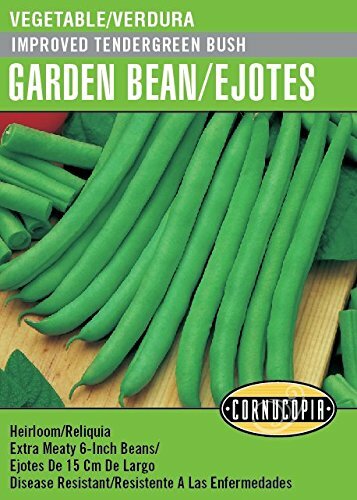 Highly recommended for home gardeners, this yellow wax bean has delicious flavor and plants that produce abundant clusters of long, straight, golden-yellow pods. Bush type. Harvest in 55 days. 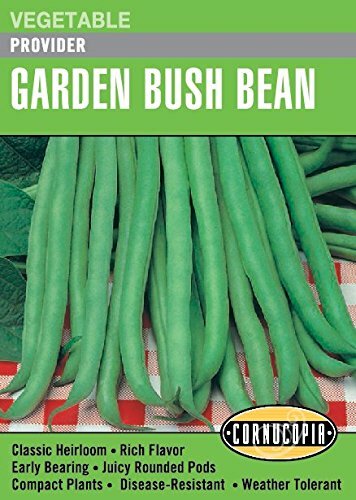 One of the most popular old-fashioned pole beans producing broad, meaty, stringless 9-inch pods that can be eaten fresh, preserved or as dried shell beans. Harvest 66 days. 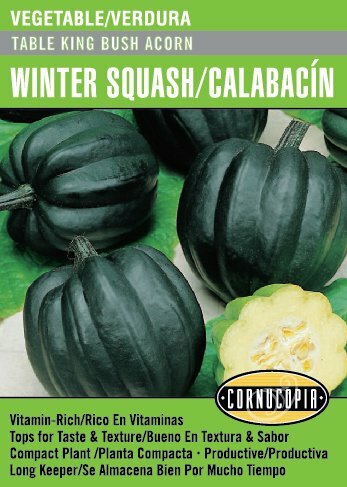 Terrific taste and easy harvest make this pole variety a favorite. Beans are smooth, round & meaty and reach about 6 inches long. Harvest in 62 days. 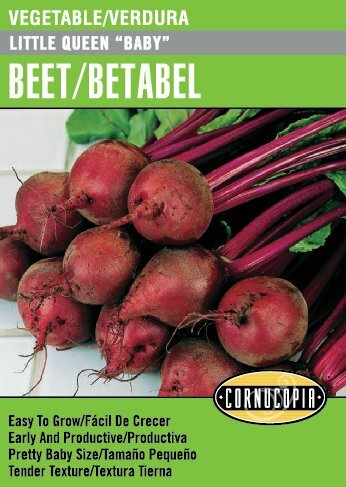 This old-fashioned, rich-flavored beet has cylindrical roots especially good for uniform, even slicing. 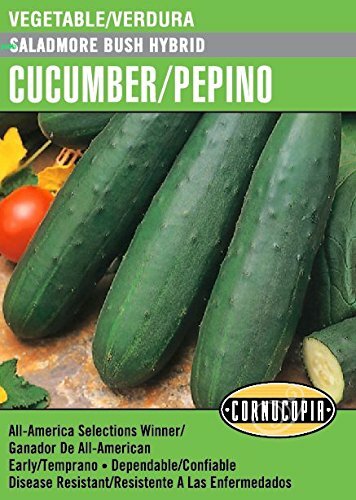 Grows up to 6” long and 2 inches in diameter with tasty tops for greens. Harvest in 55-60 days. Plants 25 foot row. 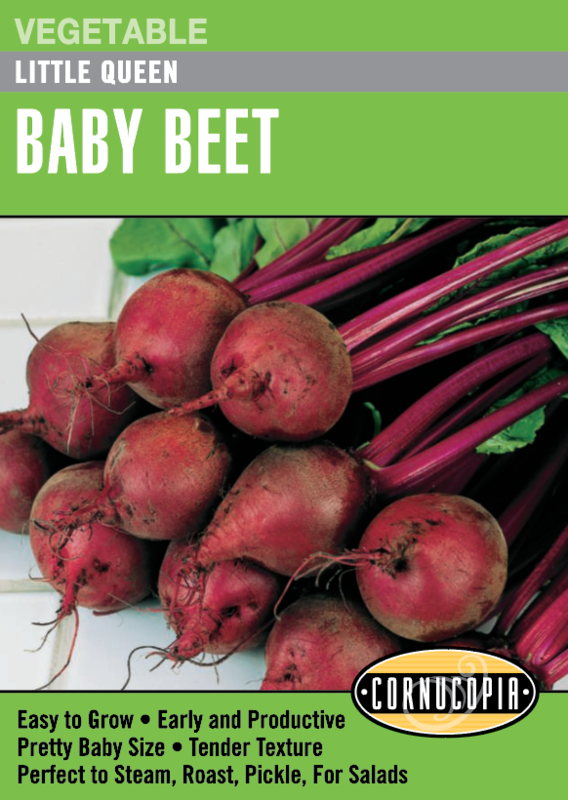 Round Little Queen beets have a smooth buttery texture & delicious flavor. Harvest these smooth-skinned red beauties when just 1 to 1 1/2 in. diameter to enjoy as tender sweet babies. 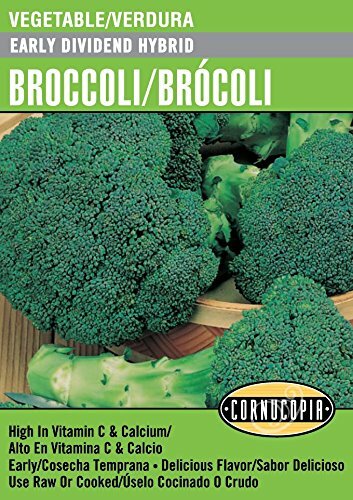 Enjoy them steamed, roasted, in salads or pickled. Ready in 50-52 days. Home-grown Brussels sprouts are sweet, nutty, and buttery – never strong-flavored. It is a real satisfaction to pick and enjoy them in late fall when the rest of the summer garden is finished. 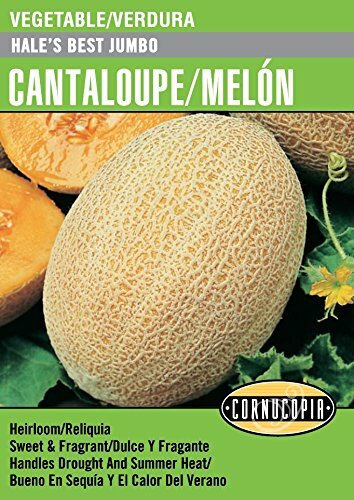 Everything a cantaloupe should be. Sweet and delicious with a small seed cavity and easy-to-cut rind. Mature fruits weigh 5-6 pounds and are ready for harvest in 85 days. 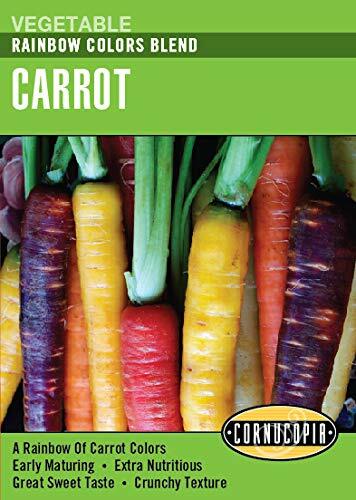 Deep orange Little Finger carrots develop sweet flavor early. Great to pull as ‘minis’. Harvest at 3 in. 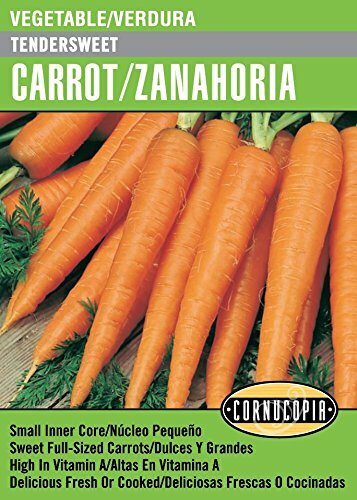 for crunchy baby carrots or grow to maturity at 6- 6 1/2 inches. Ready for harvest in 60 days. 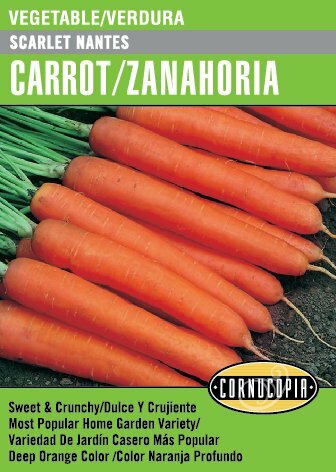 One of the sweetest bunching carrots you can grow. Long slender carrots grow to about 8-10 inches long. Deep orange roots are crisp, sweet and almost coreless. Ready to harvest in 70 days. Scarlet-colored stalks with red-veined, green crinkled leaves. 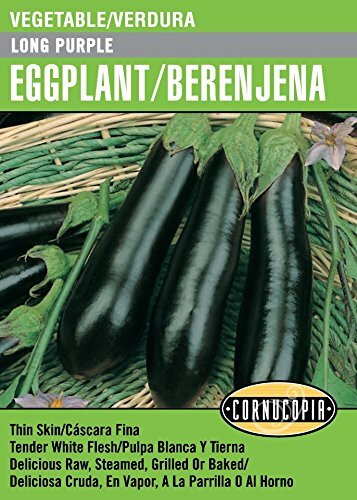 A tasty and versatile addition to the vegetable or flower garden. Harvest begins in 60 days and lasts for months. Packet plants 40 feet. 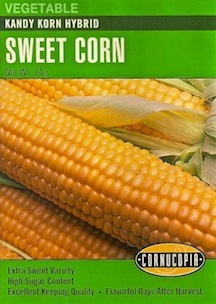 The #1 yellow sweet corn among home gardeners. Jubilee is the perfect combination of tenderness and flavor for eating fresh or frozen. A mid-season variety ready to enjoy in 81 days. Normal Sugary (su) type. A delicious summer treat from your garden. 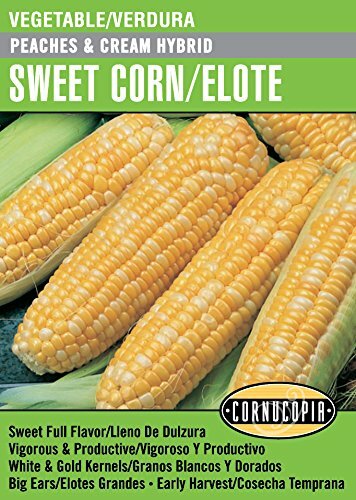 Large, 9-inch ears are filled with tender, bicolored yellow and white kernels exploding with delicious sweet flavor. Mid-season variety. Harvest in 80 days. Sugar Enhanced (se) type. Long and curvy striped heirloom cucumbers with crispy-sweet flesh that is never bitter. 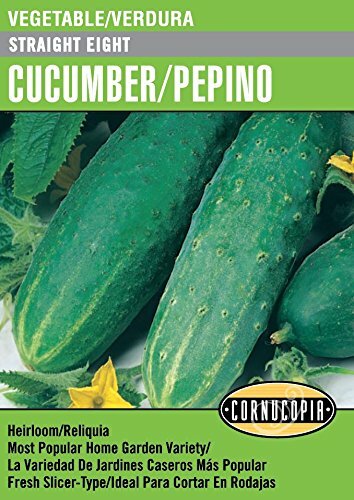 The vigorous vines love hot weather and will reward you with heavy yields of delicious, crunchy cukes. Vigorous producing hybrid that’s easy on your stomach. 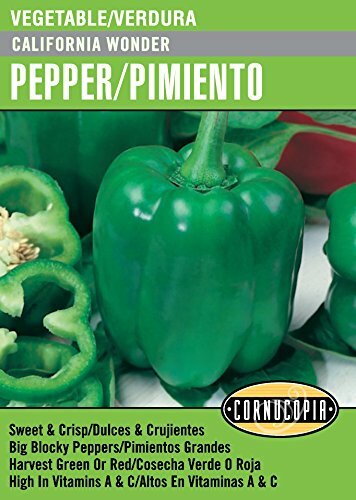 Burpless-type, smooth, dark green fruits have a crisp and mildly sweet flavor. Ready to harvest in 60 days. Add fresh, crisp flavor to salads. 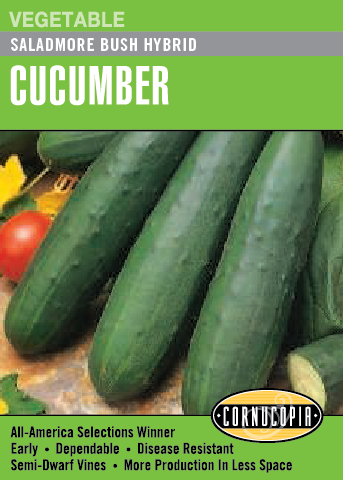 Popular slicing cucumber that produces plenty of smooth, dark green fruit, averaging 8-9 inches long. Disease resistant and ready for harvest in 65 days. 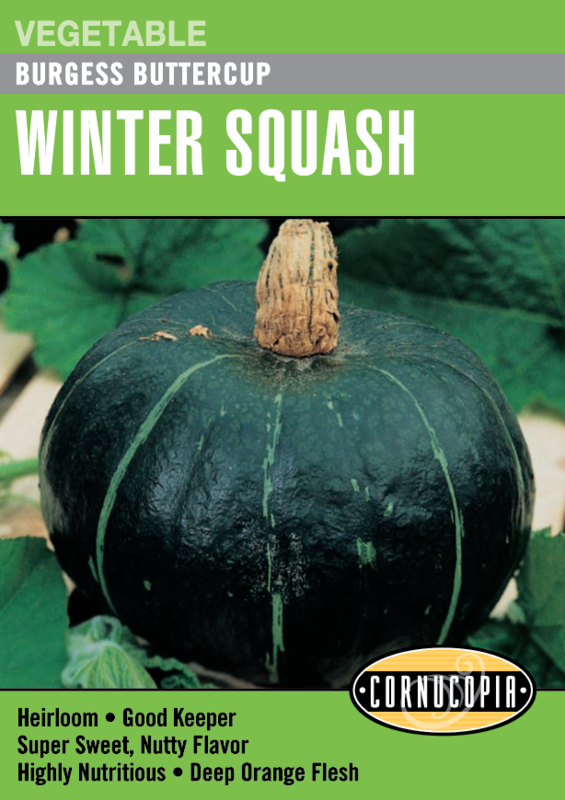 Handsome heirloom known for its blue-green crinkled leaves, tender texture and sweet flavor. 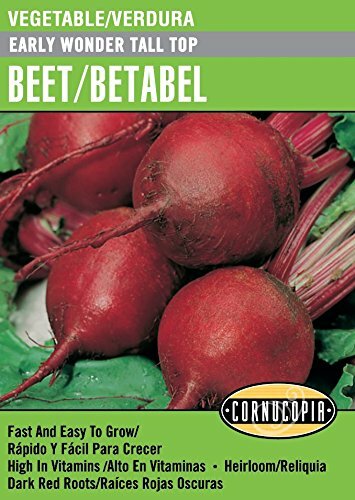 Delicious in salads, for sauteed greens, soups, or braised with garlic and olive oil. 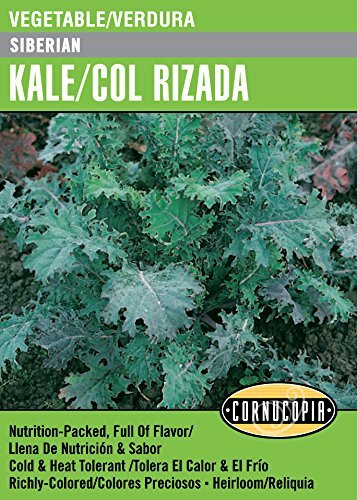 Kale's flavor is best in cool weather; mature plants handle frost well for extended harvesting. 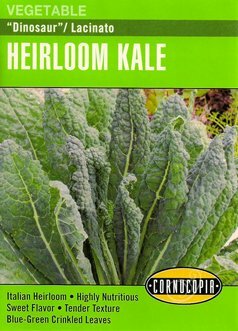 This handsome blue-green heirloom kale was originally introduced by Russian traders. 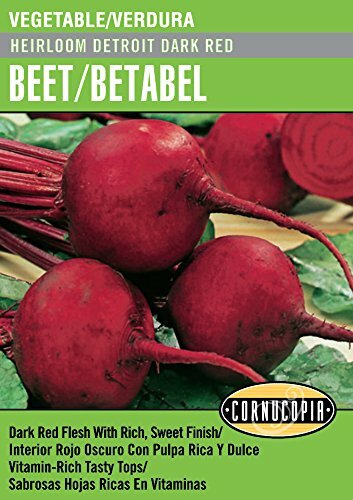 Delicious in soups stews and sautés or braised with garlic and olive oil. Flavor and color are best in cool weather. LETTUCE SEEDS. 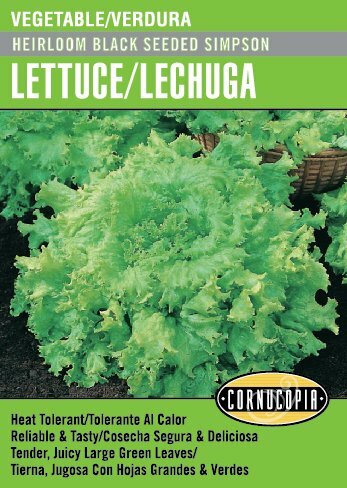 Over a century old, this easy heirloom lettuce is heat resistant, slow to bolt & fast growing. The light green leaves are wonderfully tender and sweet. You can rely on consistent yields for fresh from the garden salads. Large leaves form loose heads. Harvest: 45-48 days. LETTUCE SEEDS. Our gourmet mix offers delicious flavors, colors and textures for fast and easy baby leaf salads right from the garden. Mix of: Bambino, Simpson Elite, Esmeralda, Red Sails, Bravehart, Red Tide Lettuces. Harvest: 30-45 days. Compact 7-8 inch heads of juicy sweet, rich green leaves. 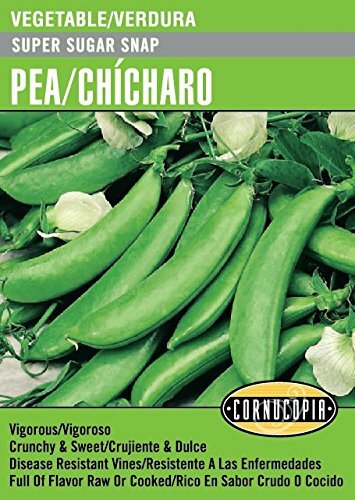 Green Gem grows quickly from seed, looks great in containers or small gardens, and is perfect for fast, crunchy fresh salads. Ready in 38-42 days. 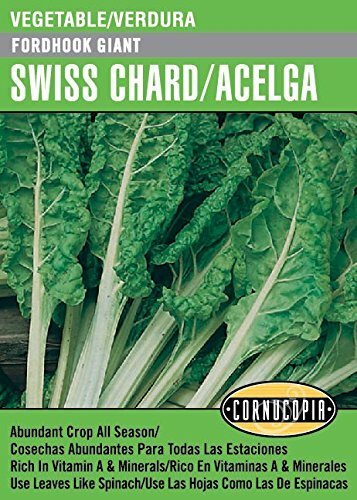 Favorite romaine type with tall, upright heads of broad, green leaves with sweet midribs surrounding a creamy-green heart. Vigorous plants produce uniform heads. Harvest in 65-75 days. 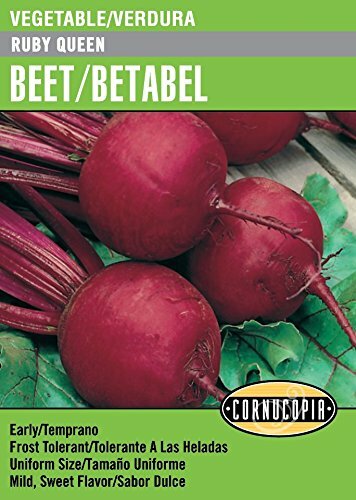 Ideal for baby greens or mature leaves the mix contains Red Salad Bowl, Red Oakleaf, Royal Oakleaf, Tango, Parris Island Cos, Buttercrunch, and Waldmann’s Green varieties. Harvest in 30-45 days. 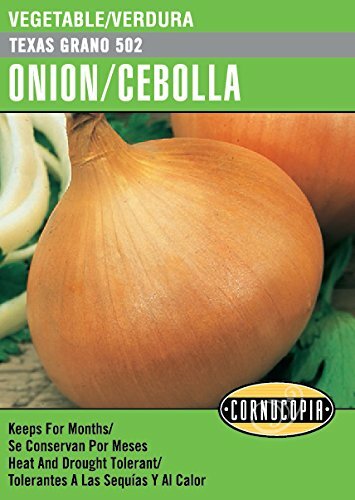 These intermediate day red onions grow easily from seed and mature at midsummer in most areas. Large, globe shaped bulbs are pungent but sweet, with crispy firm texture. 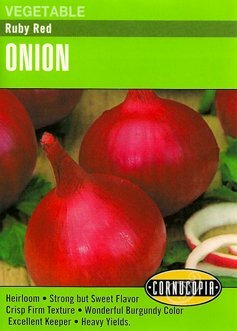 Ruby Red onions are good keepers for long storage over 5-6 months. Harvest in 100-110 days. A fast-growing crop for spring and fall. 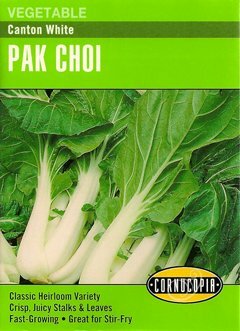 Vase-shaped Pak Choi plants have plump, juicy white stalks and deep green leaves. Flavor is mild, sweet and crunchy. High in nutrition and perfect for quick and delicious stir-fries. Ready in 60-110 days. This fine tasting heirloom dates back to the late 1800s. 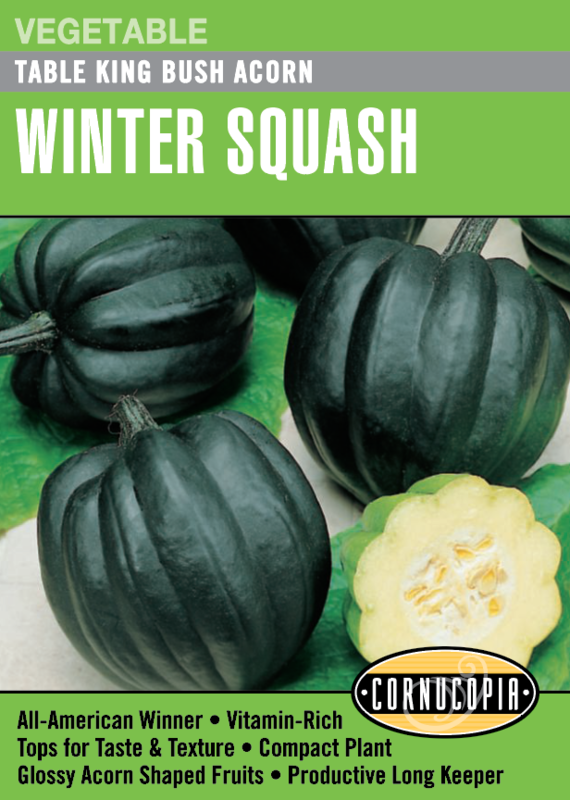 The long white-fleshed roots offer delicious sweet nutty flavor that gets even better in cold weather. Store right in the garden to harvest as needed. Slice up to roast, fry or steam. 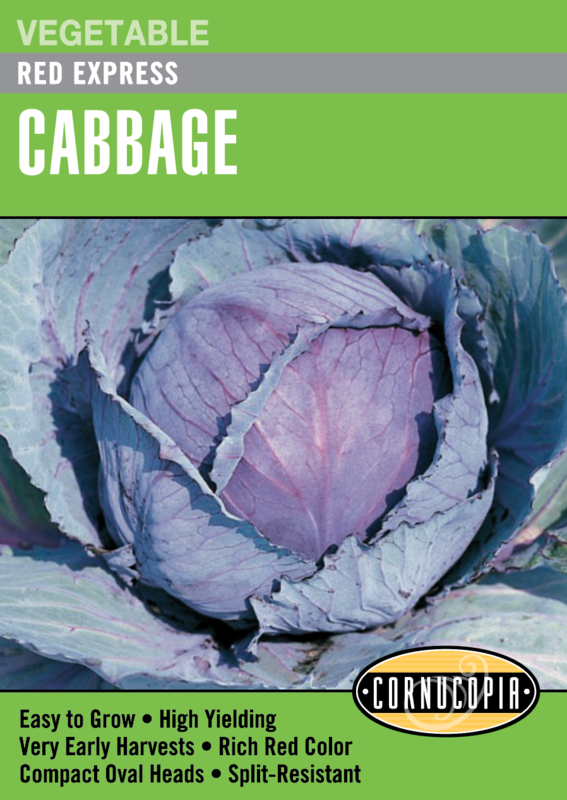 Great in stews, casseroles & soups. Days to harvest: 100-110 days. 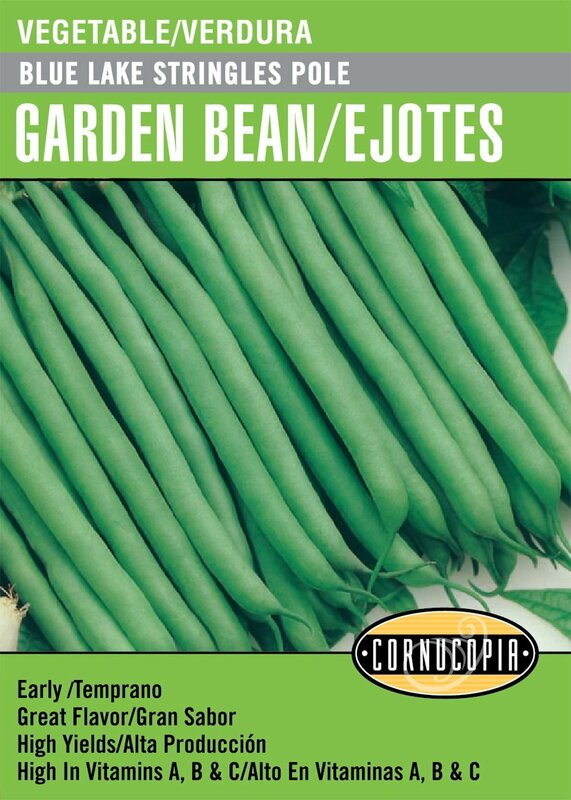 An improved variety with edible pods ideal for dipping, stir frying or just nibbling. High yielding and disease-resistant plants. Vigorous vines require support. Flat pods are ready to harvest in 67 days. 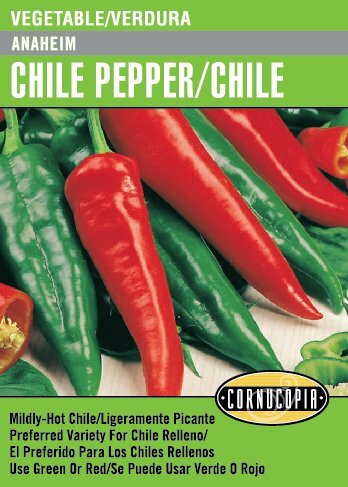 These medium-hot, 7-8 inch peppers are perfect for stuffing and flavoring Tex-Mex dishes. Use them green or wait until they turn red. All-purpose variety with mildly hot flavor. Harvest 80 days from transplant. 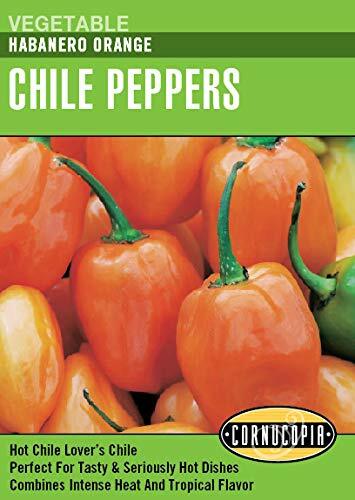 Beautiful big bell peppers that color up from green to bright orange at maturity. Delicious fresh from the garden, sautéed or roasted. Harvest approx. 75 days from transplants. Packet plants 40 ft. 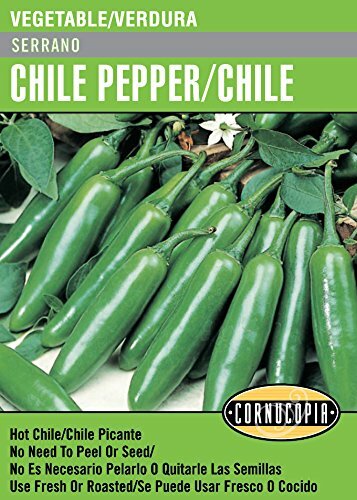 When recipes call for hot chile peppers, jalapeño is the choice. 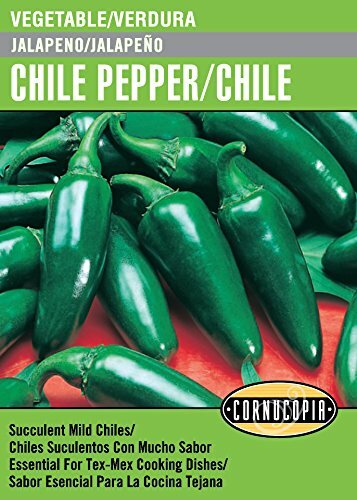 Dark green, meaty peppers are great in Southwestern dishes, nachos and as appetizers. Fruits will ripen to red. Harvest in 70-75 days from transplant. 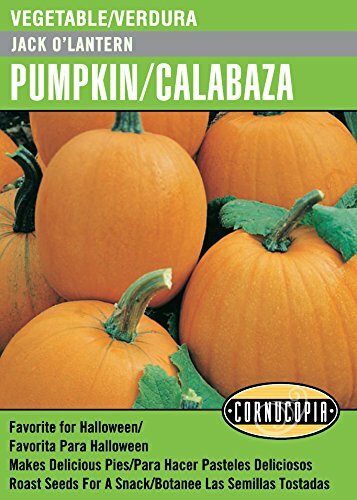 Classic favorite of gardeners for years. 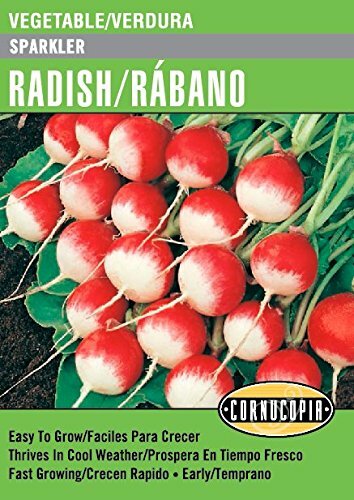 Round, crisp, tasty and bright red, they mature in only 23 days, making them a favorite with young gardeners. Keeps well. 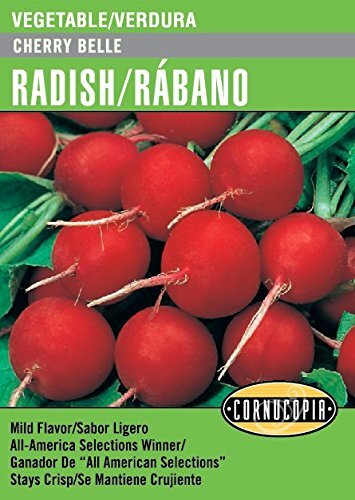 Radishes stay crisp and mild long after harvest. 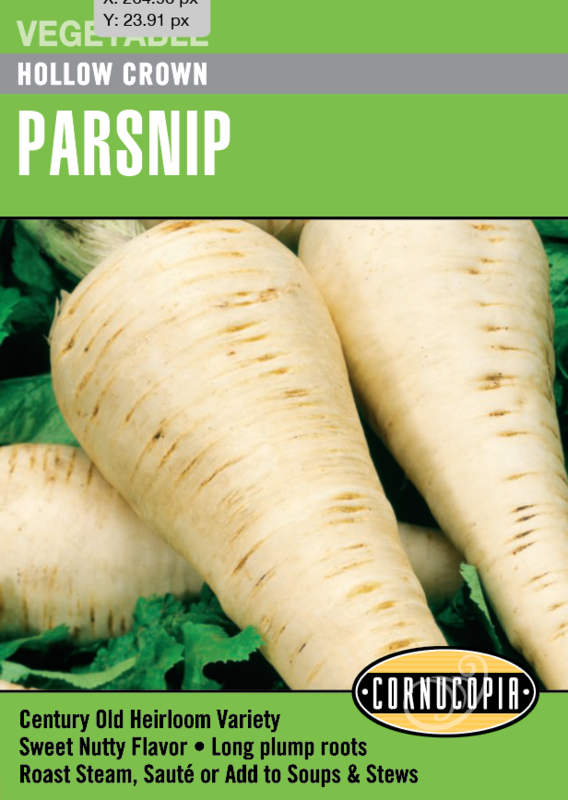 Fast and easy to grow, this distinctive variety produces mild-flavored pure white tapered roots about 5-6 inches long. A favorite with kids. Good late season variety. Harvest in only 30 days. 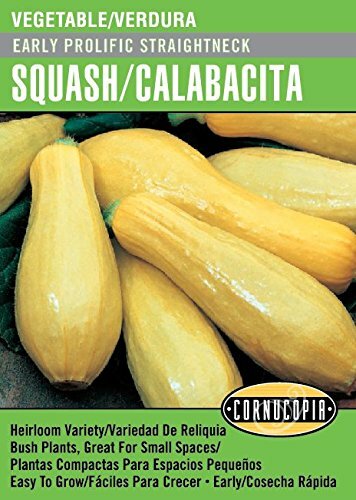 Patty pan type of summer squash with delicate scalloped edge, a gourmet treat fresh or sautéed that adds both flavor and style to any meal. Space-saving bush plants are fast growing and productive. Harvest in just 55 days. 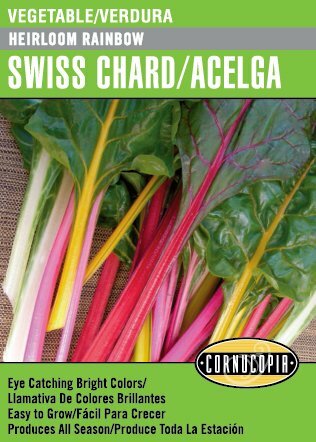 One of the most versatile vegetables in your garden. Eat fresh in salads, with dips, sauté, bake or freeze. Easy to grow and very productive. Harvest in about 50 days. 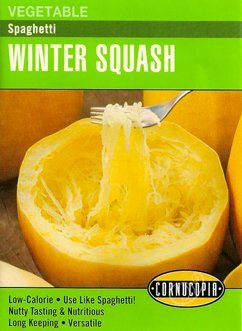 Simply bake or boil these oblong spaghetti squashes, then fork out their interior flesh in fluffy strands just like spaghetti! 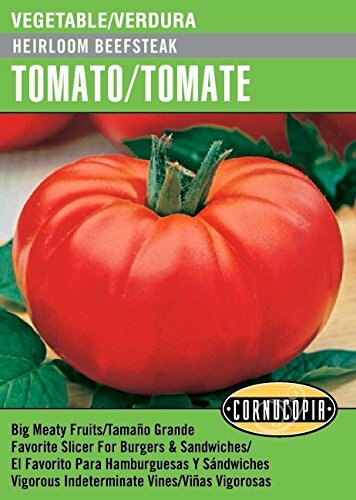 Add your favorite tomato sauce and enjoy, or serve with fresh herbs and grated cheese. 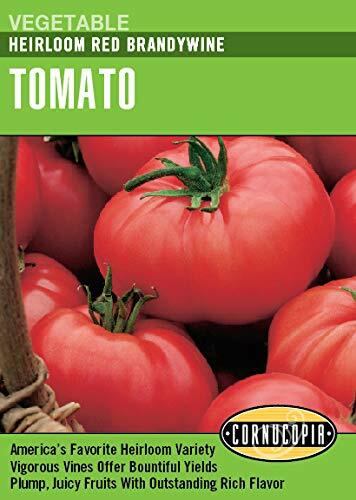 Long-time favorite of gardeners, Better Boy produces luscious, flavorful fruits weighing up to 1 pound. 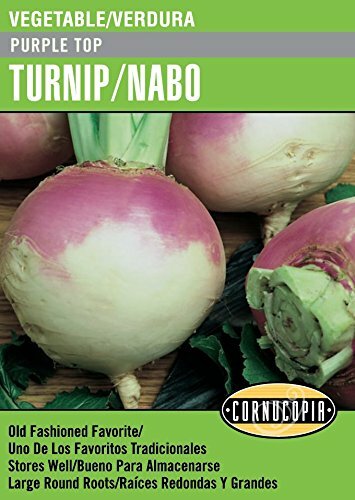 Dependable and productive plants with good disease resistance (VFN). Indeterminate. Harvest in 75 days from transplanting. 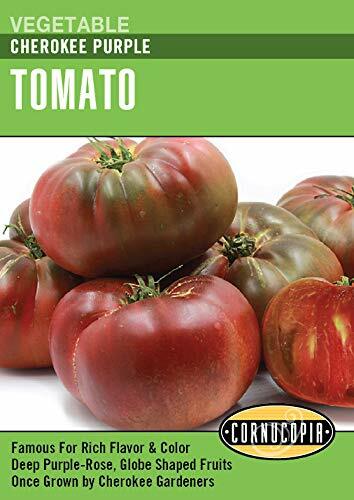 Richly colored, plump and delicious, our heirloom Brandywine is the juicy sweet tomato that you look forward to eating every summer. 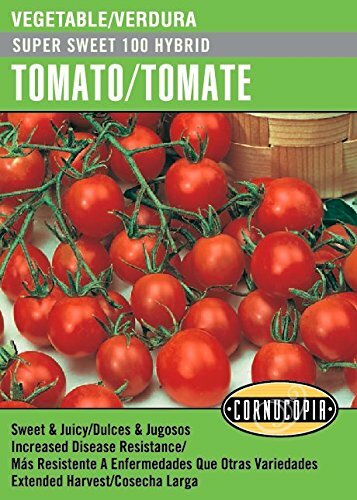 Grow your own and enjoy fresh, sliced into salads and in sandwiches. 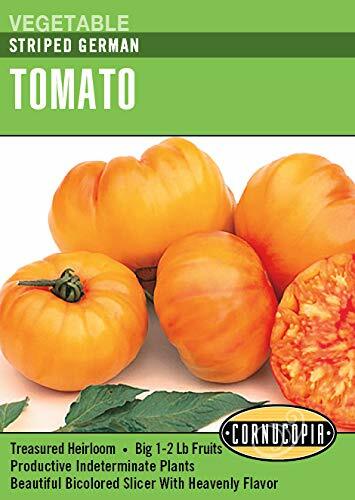 Beautiful big beefsteak tomato with red-yellow stripes and juicy marbled flesh. Delicious, smooth texture and complex, sweet flavor. An all-time favorite bicolor. Seven Top is best for tasty, flavorful greens that can be cooked or used fresh in salads. Roots are inedible. 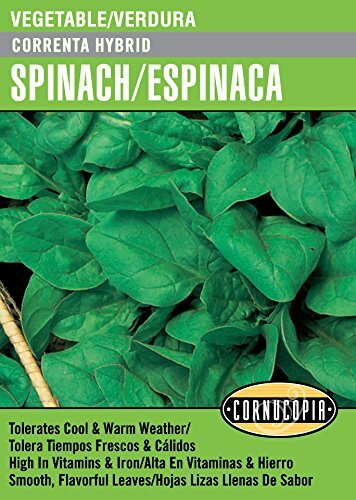 Fast to produce, the vitamin-rich, dark green leaves are ready to harvest in 45 days. 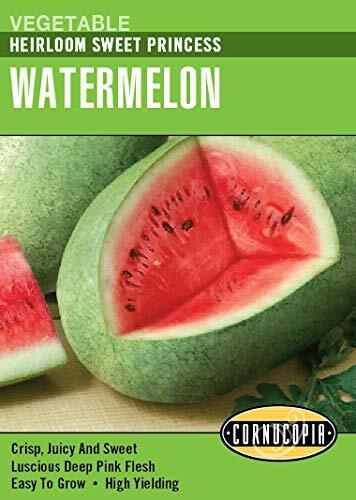 The perfect sweet summer treat with crisp, juicy, deep pink flesh. 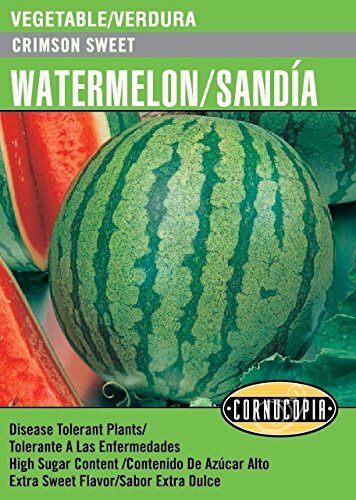 The oblong melons reach 15 to 20 pounds, plump and heavy for their size with thin pastel green rinds and very small seeds. 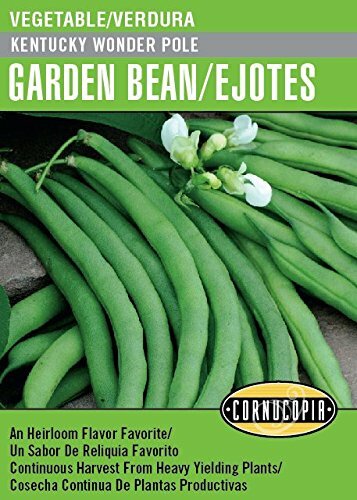 Excellent flavor and texture, along with disease resistance, have made this a Heirloom bean a favorite of gardeners for decades. 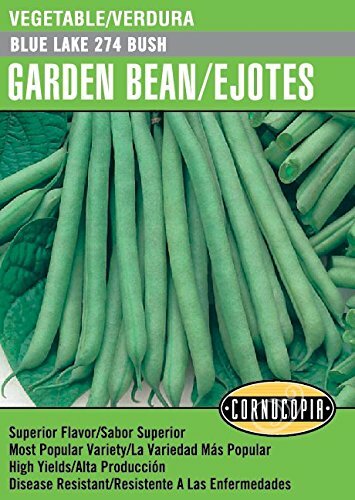 Hardy plants produce a prolific crop of 6-inch beans. Bush type. Excellent fresh or for freezing. Harvest in 55 days. 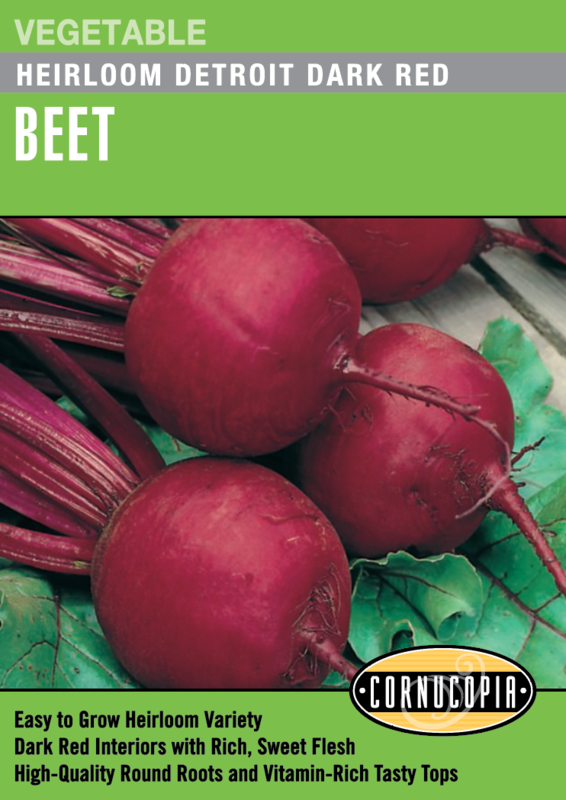 You can count on this fine heirloom variety for rich flavored, red-fleshed round beets. 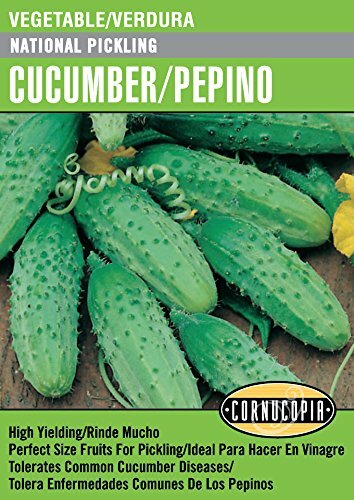 Enjoy garden-fresh or use for canning, pickling or freezing. 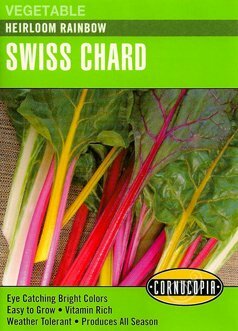 The abundant vitamin-rich leaves, striped with red, are delicious quickly braised or fresh in salads. Plants 8 in. Choose Early Dividend for improved flavor and higher yields. Large 4-5 inch, deep-green heads develop quickly followed by large side shoots. Harvest in 45 days from transplanting. 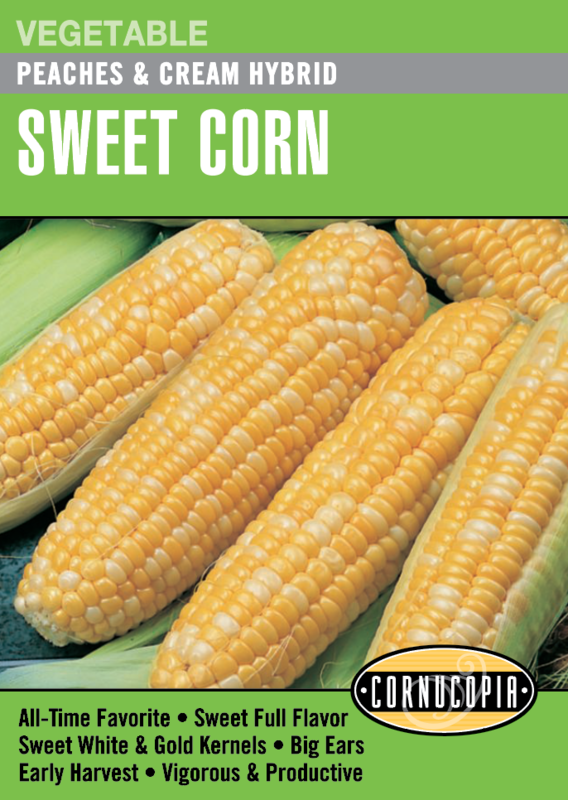 A sweet-tasting choice for heavy soils. Short, thick carrots hold their shape and crunch without becoming tough. 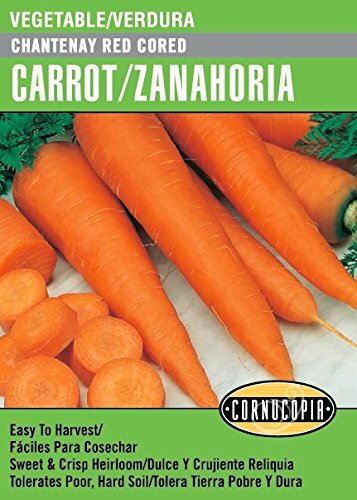 Harvest early for ‘baby’ carrots. Ready to harvest in 68 days. Produces in the heat of summer. 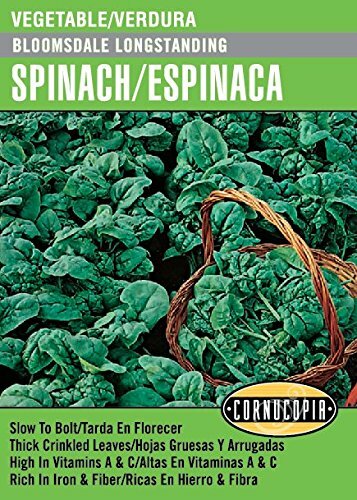 Deeply crinkled, vitamin-rich greens are delicious steamed or sautéed and make a good substitute for spinach. Stems can be steamed like asparagus. Harvesting in 60 days and continue until frost. 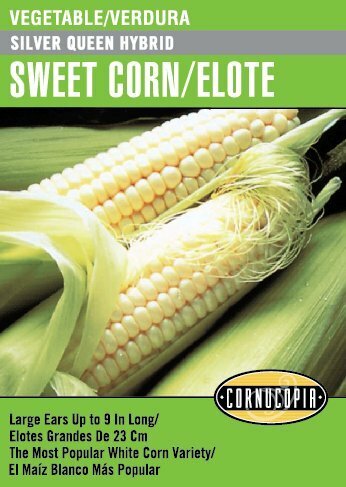 The overwhelming choice of white corn connoisseurs for large ears filled with plump, flavorful kernels. A treat when fresh, Silver Queen also freezes well. Late-season variety. Matures in 90 days. Normal Sugary (su) type. 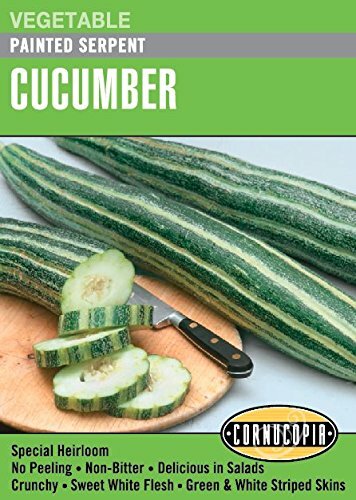 Even small gardens can produce a full crop of tasty, 8-inch slicing cucumbers. Semi-dwarf, disease-resistant vines use less space and produce all season. All-America Selections winner. Harvest in 63 days. 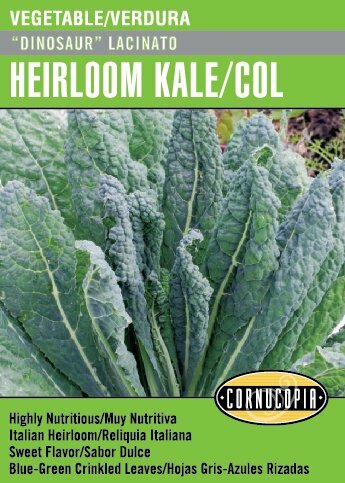 This handsome blue-green heirloom kale was originally introduced by Russian traders. 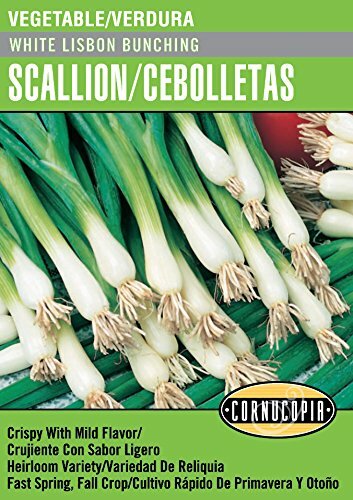 Delicious in soups stews and sautés or braised with garlic and olive oil. Flavor and color are best in cool weather. 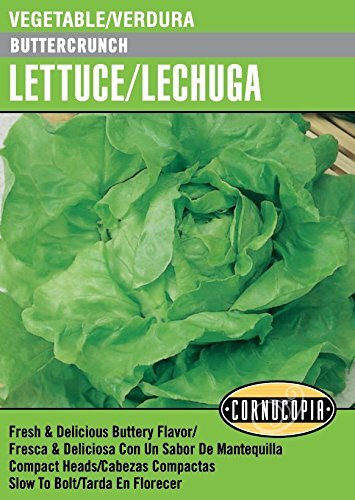 LETTUCE/LECHUGA. Our gourmet mix offers delicious flavors, colors and textures for fast and easy baby leaf salads right from the garden. Mix of: Bambino, Simpson Elite, Esmeralda, Red Sails, Bravehart, Red Tide Lettuces. Harvest: 30-45 days. LETTUCE/LECHUGA. 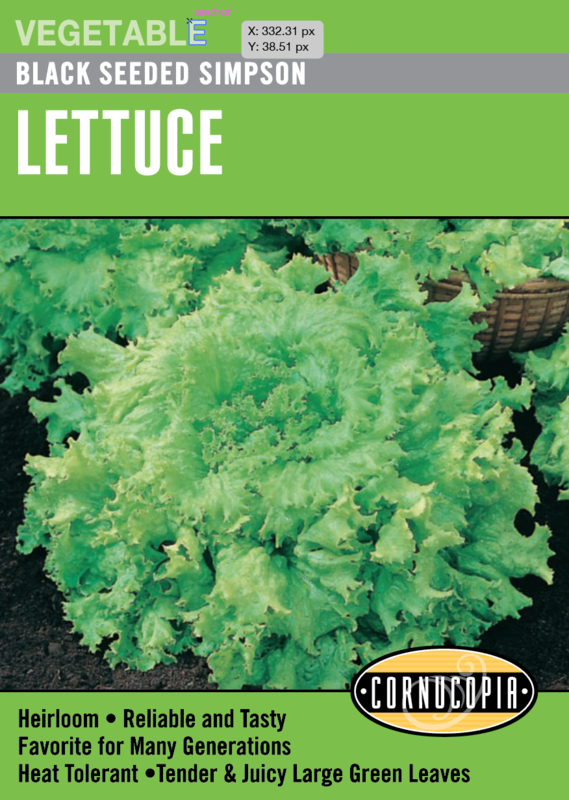 Over a century old, this easy heirloom lettuce is heat resistant, slow to bolt & fast growing. The light green leaves are wonderfully tender and sweet. You can rely on consistent yields for fresh from the garden salads. Large leaves form loose heads. Harvest: 45-48 days. 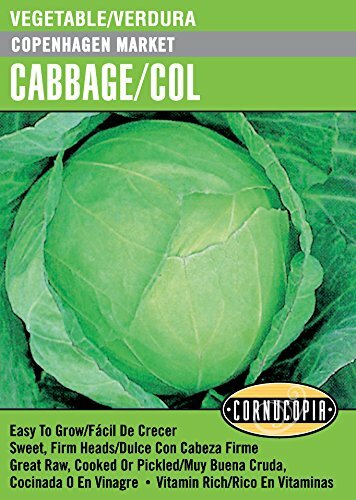 Compact, loose heads of delicious, thick and crisp leaves are easy to grow. Ideal for a single-serving salad. Tolerates heat and is slow to bolt. All-America Selections winner. Harvest in 65 days. 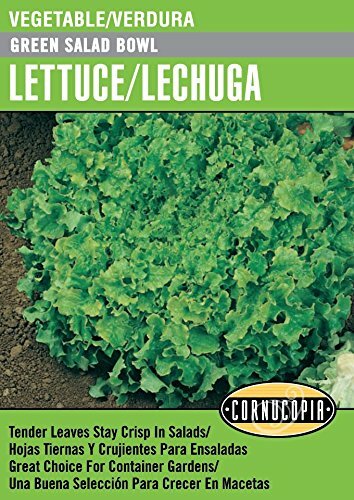 LETTUCE/LECHUGA. 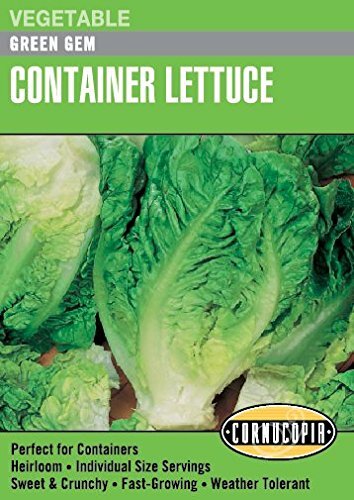 Popular leaf lettuce variety providing tightly packed, crinkled leaves with excellent, fresh flavor. Tolerates heat and slow to bolt. All-America Selections winner. Harvest in 45 days. 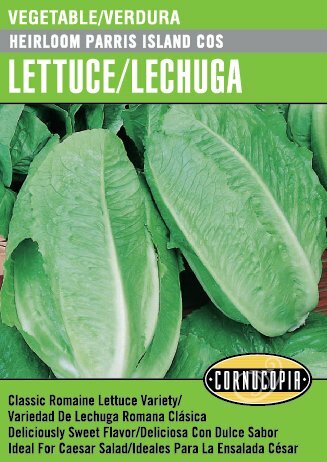 LETTUCE/LECHUGA. 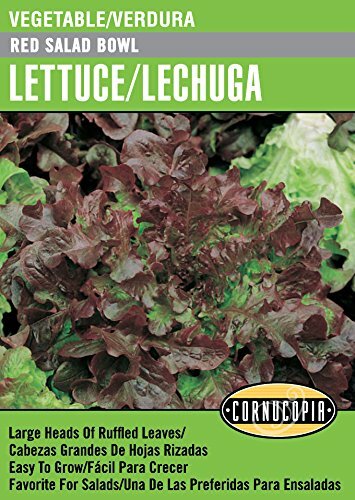 Burgundy-red version of the popular All America Award winning Salad Bowl lettuce. Deeply lobed leaves are ready early (40 days) and hold well without bitterness. Favored for fancy salad mix. 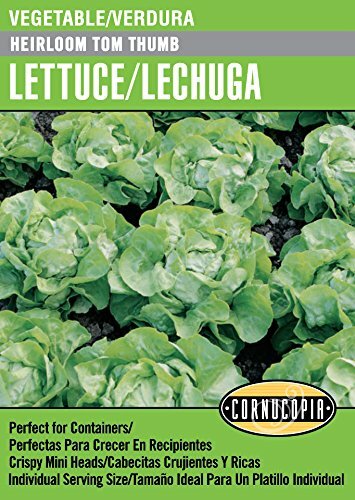 Packet plants 35 ft. LETTUCE/LECHUGA. 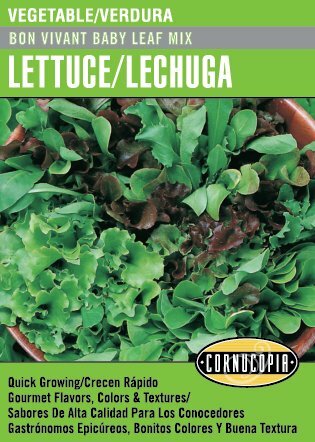 A mix of lettuces ideal for baby greens or mature leaves. Contains: 10% Red Salad Bowl, 10% Red Oakleaf, 10% Royal Oakleaf, 15% tango, 15% Parris Island Cos, 20% Buttercrunch, 20% Waldmann's Green. Harvest in 30-35 days. 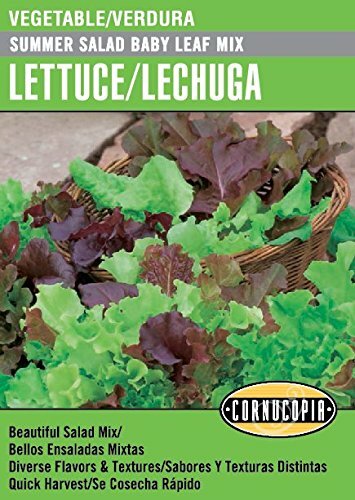 LETTUCE/LECHUGA. Perfectly formed little heads with buttery, light green leaves. Great in containers or to tuck into any garden space. Heads are the perfect size for individual salads. Ready in 40 days. Plants 70 ft row. 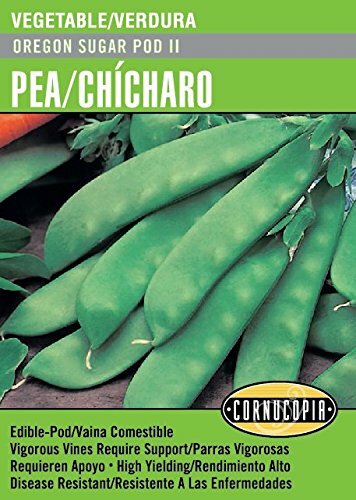 This improved, edible-podded snap pea has higher yields, sweeter flavor, and better disease resistance. The crunchy, sweet pods can be used for fresh eating or cooked. Begins producing quickly in just 66 days. Best choice as an all-purpose pumpkin. 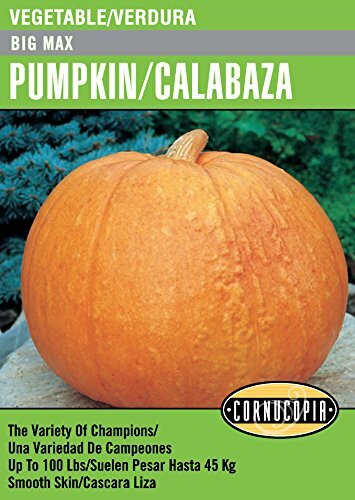 Carve some of these bright orange pumpkins for Halloween and save some to can or make into pies. Seeds are great for roasting. Nice, oval,10-pounders are ready in about 100 days. Add some real zip to salads and hors d'oeuvres. 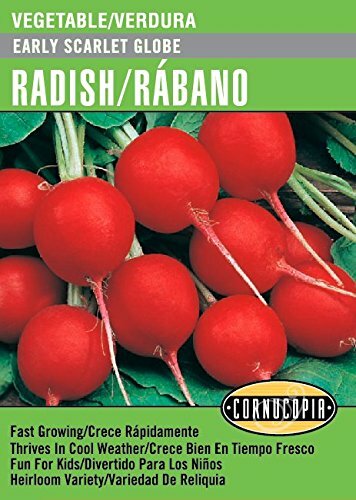 Brilliant scarlet radishes tipped with white and ready for harvest in just 25 days. Plant successive crops in cool weather. Smooth, thick leaves are full of healthy and delicious flavor. 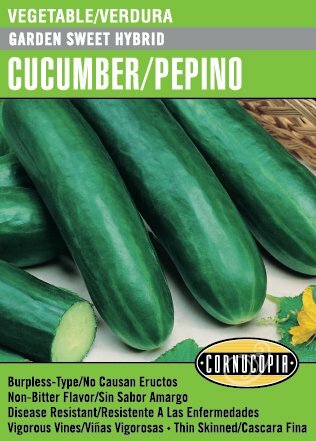 Great for fresh eating in salads or cooked dishes. Bolt-resistant variety grows even in warm weather. Harvest in 45 days. Productive, space-saving bush plants make harvesting easy. 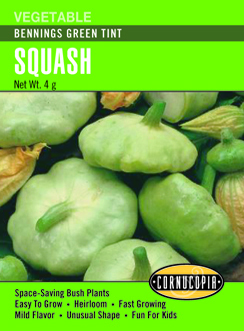 Delicately flavored, firm, yellow squash are great fresh, grilled or sautéed. All-America Selections winner. Begin harvesting in 50-55 days. Ideal for the gardener who cooks. 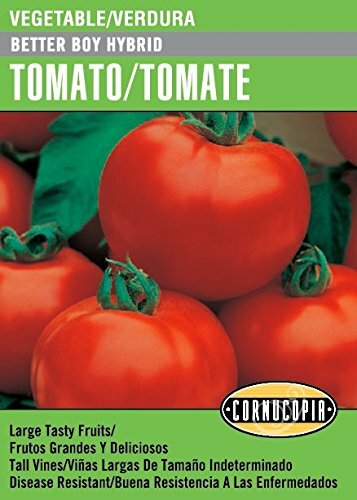 This Italian paste-type tomato produces vigorous plants with an abundance of meaty fruits that are perfect for flavorful sauces or ketchup. Determinate (VFN). Harvest in 76 days from transplanting. 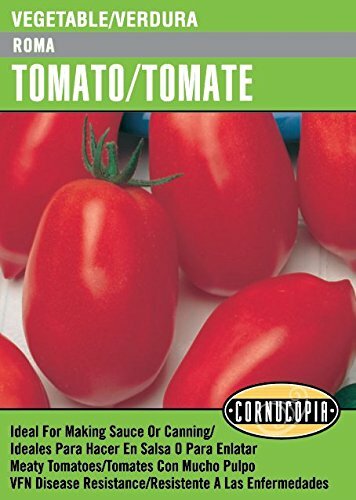 Sturdy vines produce clusters of up to 100, extra sweet, bite-sized tomatoes beginning early in the season. Indeterminate vines (V). Harvest in 65 days from transplanting. 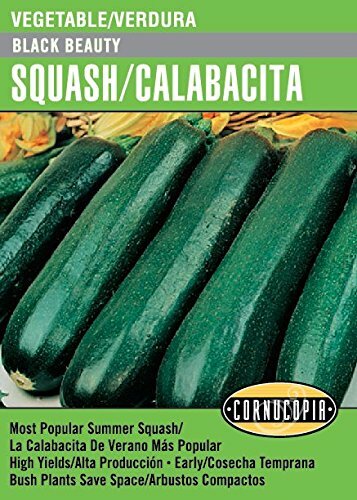 Dark green, round and full of sweet flavor with fewer seeds, this disease tolerant variety is also easy to grow. Melons are ready to harvest in about 85 days.